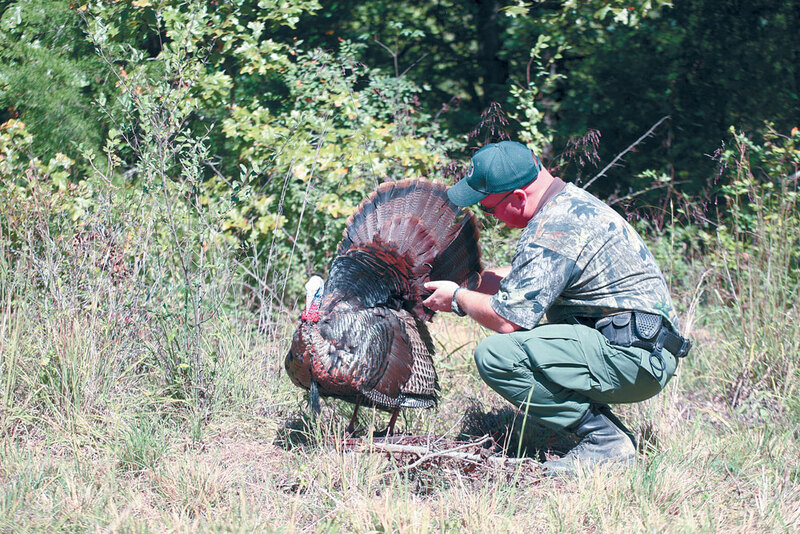 Four tactics to solve the problem of henned-up gobblers. 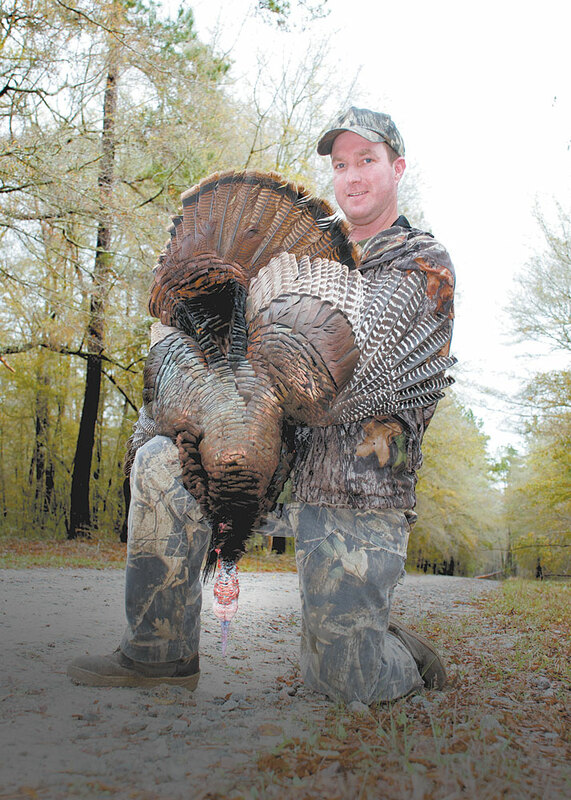 Are the gobblers ‘henned up?’ If you’re a turkey hunter, don’t give up just yet. 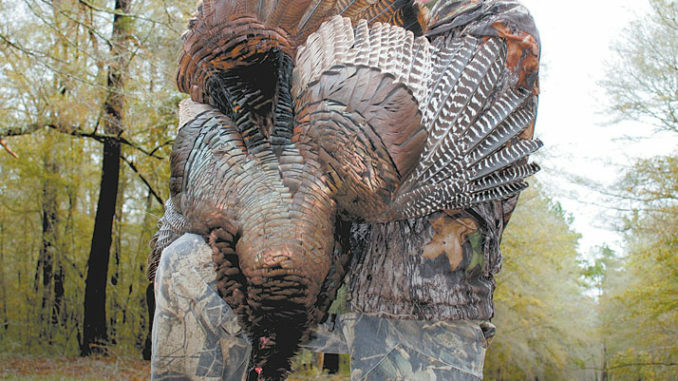 Using a realistic gobbler decoy ­ can cause a gobbler with hens to lose its mind and run into what he thinks is a fight. Try these four tricks when you’re having trouble getting a gobbler to pay attention to you and not his live girlfriends. Sitting on a flat rock, tucked in against the base of a big tree on the slope down the end of a long ridge, the hunter heard exactly what he wanted to hear in response to his first calls as dawn broke. With two creeks draining the side of a hill meeting about 100 yards to his right and spilling between his hill and one directly across from him, he looked up to his right as he heard a long gobble from a turkey obviously roosted on the side of a hill over one of the creek beds. 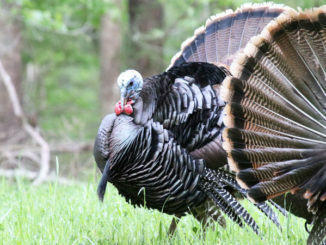 The gobbler belted out two more responses over the next five minutes, then the stillness of the April morning was interrupted again — this time by something the hunter didn’t want to hear: the plaintive three-note yelp of an unseen hen turkey. The gobbler responded, the hen yelped again, and the next gobble obviously came from the ground. The hen headed on a straighter line than any plumber has ever plumbed, right up the creek bottom to the gobbler, and within five minutes, everything was quiet. He was doubtless not the only one who said those two terrible words during the first week of the 2016 turkey season. It’s a common lament among the crowd that’s driven to rise at 4 a.m. in order to get into the woods before pitch-black gives way to dawn. For the first week or two of the season, losing a gobbler to the romantic babbling of a hen is probably the excuse heard most when turkey hunters sit down for lunch in diners or pull up a stool to cut hoop cheese and baloney in country stores and discuss what went wrong that morning. Early on, turkey hunters understand they have competition when they try to reverse the natural order and mimic the vocalizations of a hen turkey to call a gobbler within shotgun range. It’s not supposed to work that way; the tom gobbles, and the hen rushes in his direction, yelping and clucking out sweet nothings the entire time. The competition is from the gaggle of hens in the woods who haven’t been bred or finished laying their clutches of eggs. They want to keep company with the neighborhood bully until their natural urges turn from reproducing to protecting their eggs. And there aren’t many hunters alive who can call a gobbler to them while a live hen is promising him things that would make a gigolo blush. Come back later. 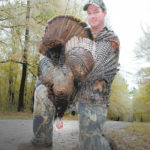 Marshall Collette, a veteran turkey hunter who is a member of the Mossy Oak and Quaker Boy pro staffs, knows that even a caller who has won numerous calling competitions has little or no chance of bringing a big gobbler under the gun when he’s occupied with hens. His first idea is, leave him alone and come back later. 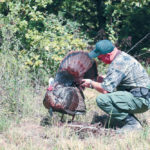 “Ninety-five percent of the time, when I know a gobbler I’m working has hens, I’ll walk away and come back to the area later,” he said. “I’ll try to go find another gobbler, and then, later in the morning or around mid-day, when the hens have left him to sit on their nests, he’ll come back to the same area where he found them that morning. I’ve seen that happen a lot. Come back the next day. Heath Rayfield, a long-time guide, said to pay careful attention to what the turkeys do, then come back and get in their way the next morning. “Nine out of 10 times, turkeys will be in a little routine: where they roost, where they fly down and where they go,” Rayfield said. “And it doesn’t vary much from day to day. “If I see him in the morning with hens, and they’re up in the woods, I’ll pay attention to everything, pattern them, then the next morning, I’ll come back and try to get tight to him, get in between him and the hens. Call the hens in your direction. This one most hunters can try, and once in a while, it will work, according to Rayfield and Collette. Collette said he normally works a gobbler that’s dropped off the roost with typical hen yelps and clucks. If one hen in the group fires up, he’ll respond with “aggressive cuts and hen yelps, even a few aggressive purrs. Fan his flames. Rayfield said over the past couple of seasons, while filming hunts, he’s changed his mind and decided that using decoys, or even just a full turkey fan, can get a gobbler that’s with hens riled up to the point of throwing off his natural caution and barging in for a fight. “I’ve almost gotten to where I don’t mind having hens around a gobbler as long as I can see ’em, especially if they’re in a field,” he said. “Now, I don’t do this on public land, but I keep a gobbler fan, and if I’ve got him in a field, I’ll belly crawl out in the field with the fan up. Nine times out of 10, if he sees that fan, he’ll come charging in, and when I say charging, I mean charging. Last year, I killed two gobblers at three and four steps. One was out in a field, in a low spot, and I used a little roll in the land to crawl out, then stuck the fan up to where he could see it, and he came right in. The other one, I was lying down in a logging road with the fan, and he came 200 yards right down the road to me. “If I’m in hilly terrain, in the woods, I’ll try to use the terrain and get to where I can put out a couple of decoys so he’ll see them when he walks past. I’ll put out a hen and a strutter, and I’ll gobble at him two or three times, then shut up. When he hears you gobble at him, he’ll perk up and look to see what’s there. If he sees that strutter, he thinks it’s there to steal his hens, and he’ll come on in. 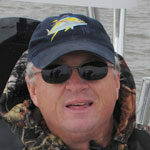 Dan Kibler is managing editor of Carolina Sportsman. He has been writing about the outdoors since 1985.